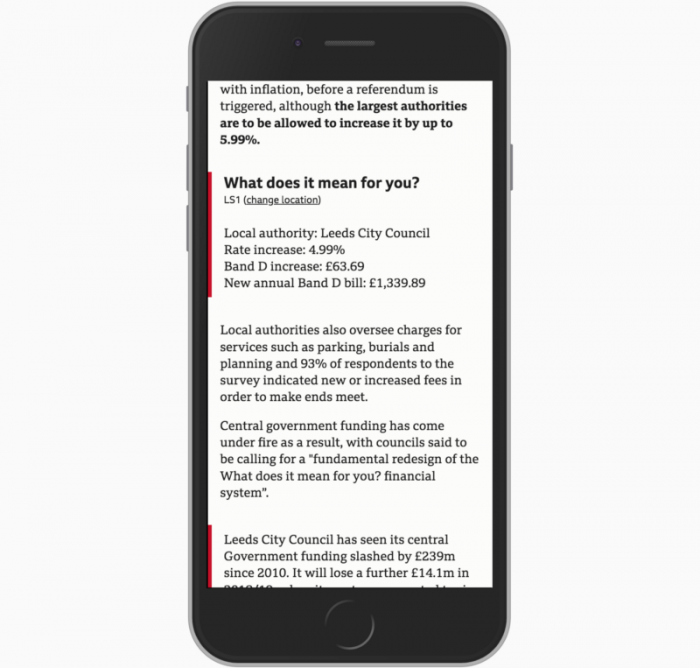 By Christine Schmidt @newsbyschmidt Nov. 28, 2018, 8:44 a.m.
Hyperlocal, summaries, perspectives, scrollable video transcript: For the past year, the BBC’s research and development team has been pursuing workable options for mobile storytelling beyond the standard 800-word article. 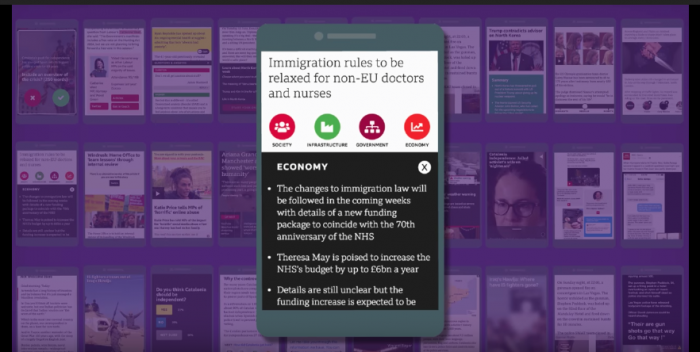 After 35 prototypes (and lots of tapping, swiping, and creating reusable contextual information), the four-person team — including a full-time journalist — has activated at least two new formats in the BBC’s reporting, with more lined up. “The clear favorite prototypes were about explaining things better and showing the many different sides to stories. 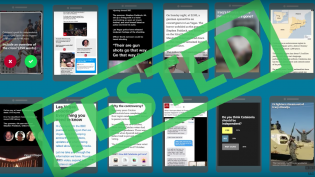 And I’m not sure you need new formats to do this better,” R&D lead producer Tristan Ferne wrote in his testing roundup; I followed up with him in an interview to get more detail. (The rest of the team included UX designer Thomas Mould, creative technologist Mathieu Triay, journalist Zoe Murphy, and user researcher Johanna Kollman.) But scrollable video transcripts and embeds translating a national story to your local context don’t hurt. Here are Ferne’s top overall lessons from the year-long process (full details here), followed by the specific prototypes tested (successfully and unsuccessfully) in the second and third rounds. Ferne and the other team members have finished these sprints; now it’s time for the industry to take the baton. Why? Keep tapping. 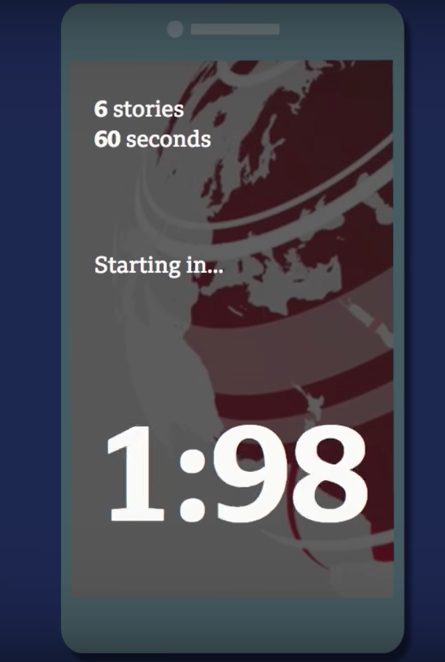 Images from BBC’s writeup and video of the prototyping. Schmidt, Christine. 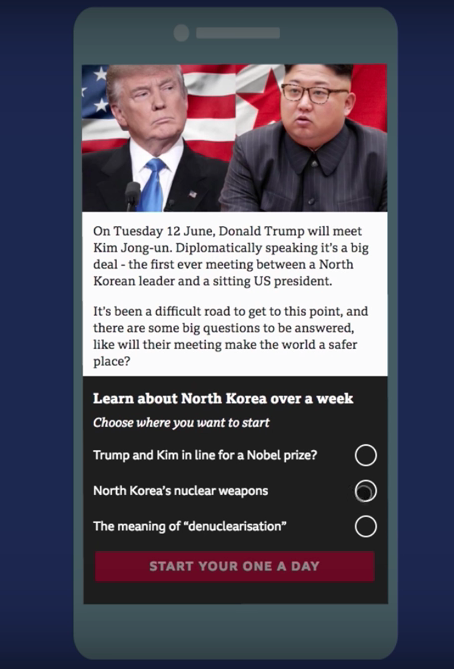 "35 prototypes, one year, and lots learned: The BBC puts its mobile storytelling plan in action." Nieman Journalism Lab. Nieman Foundation for Journalism at Harvard, 28 Nov. 2018. Web. 24 Apr. 2019. Schmidt, Christine. 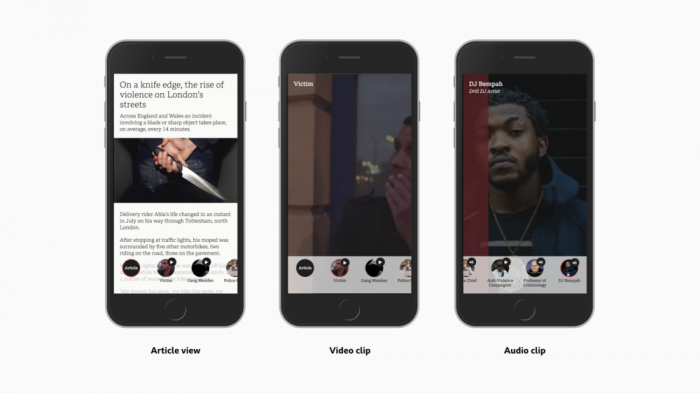 "35 prototypes, one year, and lots learned: The BBC puts its mobile storytelling plan in action." Nieman Journalism Lab. Last modified November 28, 2018. 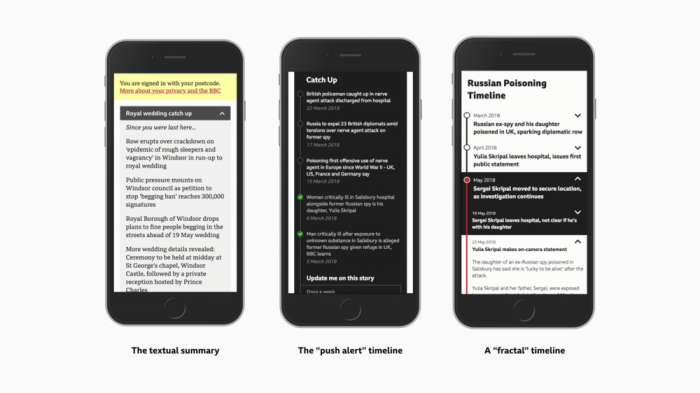 Accessed April 24, 2019. https://www.niemanlab.org/2018/11/35-prototypes-one-year-and-lots-learned-the-bbc-puts-its-mobile-storytelling-plan-in-action/.